Two animal lobby groups in New Zealand have claimed the Government is not enforcing its own laws on pig welfare. Save Animals from Exploitation (SAFE) and the New Zealand Animal Law Association, have filed a writ in the High Court in Wellington saying the use of farrowing crates and mating crates breached the Animal Welfare Act 1999. Radio New Zealand reported that SAFE ambassador Hans Kriek said the court should tell the government to enforce its own laws, because the use of these crates did not allow the animal to express its normal behaviour. ‘The crates confine a mother pig for up to three months a year,” he said. Minister of Agriculture Damien O’Connor said this very matter was being considered at present by the Primary Production Select Committee, and he would consider and act on any recommendations when that evidence was gathered and presented. He also pointed out that a report in 2016 from the National Animal Advisory Committee (NAWAC) found farrowing crates provided the best balance between sow and piglet welfare, and there were problems with alternatives to farrowing crates. 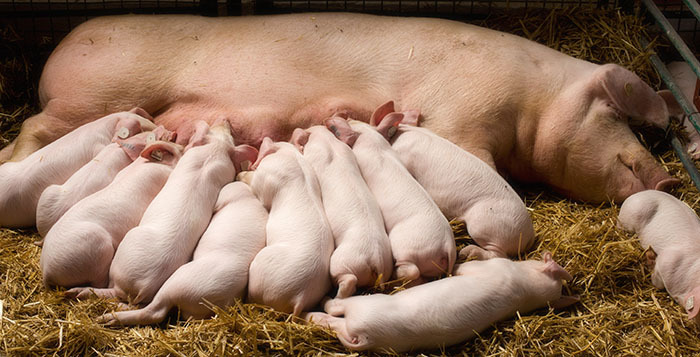 The chairman of New Zealand Pork, Eric Roy said letting piglets roam free after birth had higher mortality rates than keeping them with their mother in a crate. The NAWAC report said farrowing crates were best on balance, because young piglets roaming free were “more susceptible to starvation, chilling or being crushed by the sow”.